The name AHERN has many variations: Ahern(e), Ahearn(e), Hearn(e), Hern(e) and in the case of a convict transported to Western Australia, Cornelius Ahern, A’Hern, A. Hern or Hern. Apart from the obvious problem related to genealogical research of such a surname, in Western Australia it had the bizarre consequence of being recorded as two different men hanged for the same crime! Cornelius Ahern, Fremantle Prisoner #1697, convicted of larceny and sentenced to 10 years, arrived in WA on Dudbrook in 1853. Cornelius Ahern, Fremantle Prisoner #4738, convicted of desertion and sentenced to eight years, arrived in WA on Nile in 1858. My only interest is in THIS man, a Crimean War veteran, formerly Private #3406 of the 41st Regiment of Foot. 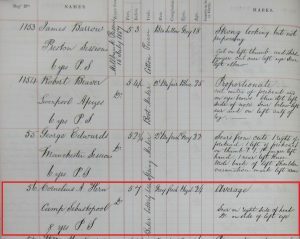 Although I have no record of Ahern’s enlistment date, we can probably assume he was with the 41st Regiment when it went to Corfu in 1851 and to Malta in 1853. On the outbreak of the Crimean War, the regiment left Malta and along with the 33rd Regiment were the first British soldiers to tread the shores of the Bosphorus since the Crusades. They landed on 15th April 1854 and went into barracks at Scutari [Turkey]. After serving at Scutari and in Bulgaria, the 41st proceeded to the Crimea. 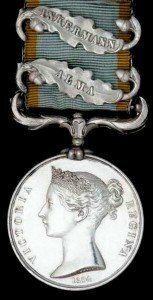 Ahern fought with the 41st at Alma and Inkerman and was awarded the Crimea War Medal with clasps for these engagements. While the 41st was destined to return home from the Crimea in July 1856, Ahern deserted in June and faced a General Court Martial. He was sentenced at Sevastopol Camp to eight years penal servitude and shipped back to England; perhaps on the same ship as his comrades. 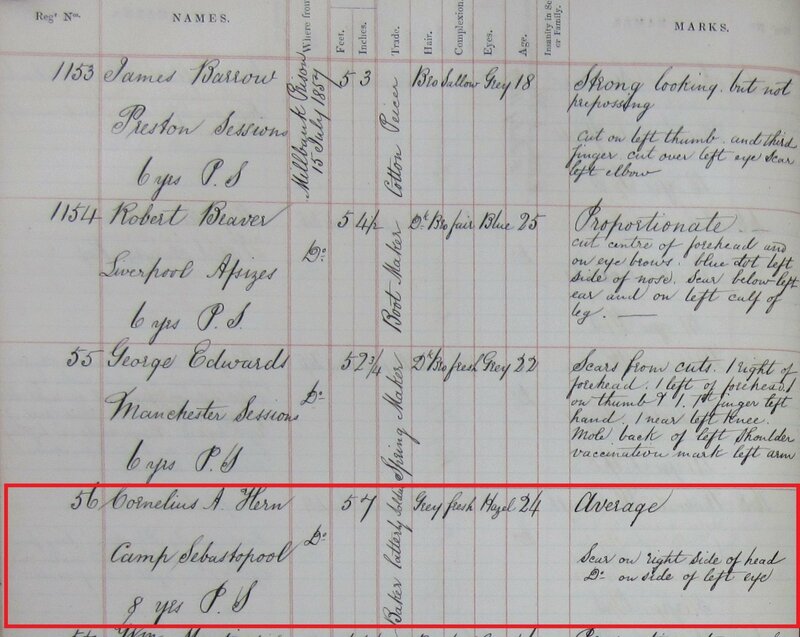 When Ahern arrived back in England, he was received at Millbank Prison on 14th July 1856 as prisoner #2990. He was in Millbank for 12 months, during which which time he is recorded as a prison baker (his pre-Army occupation). He was then admitted to Chatham Prison as prisoner #1156 and described as 24 years old, height 5 ft. 7 ins. ; hair grey; complexion fresh; eyes hazel; his build average. Identifying marks included a scar on the right side of head and a scar on the side of his left eye. On 4th September 1857, Ahern boarded the convict ship Nile which ultimately left Plymouth bound for the Swan River Colony on 29th September, stopping at Bahia, Brazil on the way. Much has been written about this voyage as it was perhaps the most fractious journey of the WA convict transportation era. There were 270 convicts on board, 33% of whom had been tried for violent crimes (the third highest rate of criminality of all the convict ships); two convicts died on the voyage. There were no accompanying enrolled pensioner guards to assist in disciplinary matters. Two of the ten warders meant to be on board refused to undertake night duty and were dismissed; of the remaining, most had served in the Turkish Contingent during the Crimean War. Twenty-seven Sappers and Miners and two officers of the Royal Engineers were on board to replace colleagues in the 20th Company who had returned to England for various reasons. Whether or not their orders spelled out their responsibilities relating to being guardians of the good behaviour of the convicts, I do not know. 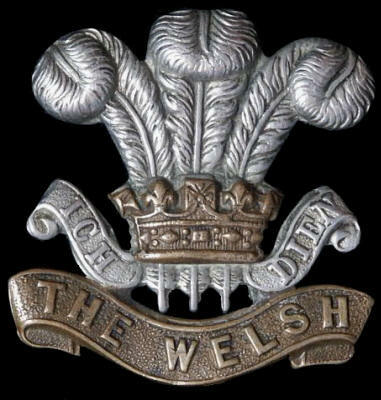 They were, after all, tradesmen first and foremost, not battle-hardened soldiers. Nile arrived in Fremantle on 1st January 1858 whereupon Ahern was admitted to Fremantle Prison as prisoner #4738. His physical description, assessed at this time varied somewhat from the Chatham Prison description above. Height 5 ft. 6½ ins. ; hair grey; eyes hazel; face oval; complexion dark; build stout. His distinguishing marks were described as scar on left leg and bayonet wound on right side (neither of these mentioned in the Chatham account). Two years into his sentence, Ahern was granted his Ticket of Leave – on 6th November 1860. He worked in Guildford, Albany, Fremantle and Perth in various occupations, including general servant, cook and sawyer. Within the year he appeared before the Police Court on a charge of effectively breaking his TOL obligations by being out ‘after hours’. His TOL ‘master’, W H Weeks, reported him for drunkenness and neglect of duty. These offences earned him a return to Fremantle Prison in July 1861. It was drunkenness and desperation that finally led to Ahern’s downfall. Late on the evening of 27th February 1867 an incident occurred, resulting in charges of cutting and wounding with intent to kill and murder Police Constable Moran. The case was heard in the Supreme Court on 4th April 1867. There were many exhibits, police witnesses and a doctor’s testimony. The account of the trial is here in the Perth Gazette and West Australian Times, Friday 5 April 1867, p.3. Ahern was hanged on 12th April at Perth Gaol. Swift justice indeed. Several points stand out: the defendant Ahern confessed to the wounding (but not intent); he was not represented by legal counsel; a letter produced in evidence recorded Ahern’s TOL number 4738, thus confirming that the man known as Cornelius Ahern was indeed the man who arrived on the Nile (not the Dudbrook). – religion – Roman Catholic. This man will be remembered, if at all, for the manner of his end and nothing of his beginning. Dictionary of Western Australians Vol.2, Bond 1850-1868, Rica Erickson (1979). Fremantle Prison Online Databases (accessed 2014, 2017). Legal Executions in Western Australia, Brian Purdue (1993). Records and Badges of Every Regiment and Corps, British Army, Henry Manners Chichester & George Burges-Short (1900). Crimea War Medal Roll, WO100-29-181,231, National Archives, Kew. Judge Advocate General’s Office, WO90-3, 1851-1865, National Archives, Kew. Millbank Prison Register, PCom2-38, National Archives, Kew [courtesy Bevan Carter]. Chatham Prison Register, PCom2-1, National Archives, Kew [courtesy Bevan Carter]. Transportation Register, HO11-18-128, National Archives, Kew. The Precarious Voyage of HM Convict Transport Ship Nile, W J (Bill) Edgar 2016 (Notes). Convicts to Australia, A Guide to Researching Your Convict Ancestors, Perth DPS Website. Perth Gazette and West Australian Times 19 Jul 1861, 5 Apr 1867. Fremantle Herald 6 Apr 1867. Inquirer and Commercial News 10 Apr 1867.